We highlighted the launch of a young new grouping, Future Foresters, a couple of months ago. Very simply, a number of young New Zealand foresters have taken it upon themselves, after little or no action from others, to promote the forestry industry to their peers and to the wider community. Future Foresters was born. It came out of a realisation by younger foresters that forestry’s perception really does need to change. Rightly so they were arguing that the issue of public perception is currently hindering the awareness of forestry as a viable career pathway for young New Zealanders. Future Foresters was set up in early July - it’s mission - to be part of the solution to change this. As highlighted in their launch, “We’re happy to own up to forestry’s shortcomings and want to be proactive and involved in coming up with innovative solutions. As millennials in the forestry sector we may have slightly different values to some of our more seasoned colleagues”. Can’t argue with this. As part of their initial push, their plans are to “give it their best shot” at promoting forestry by showing young New Zealanders the diverse and rewarding career opportunities that a modern-day forester has. The first runs are on the board. They’ve just released their first "bio" video of their social media video series. In just one week, it’s been able to reach over 35,000 people. Congratulations to the group for the initiative, the first video in a series and we urge you to continue to give them your support as they begin to target and prise open long shut doors to the younger generation of future foresters. Elsewhere in training and programme assistance this week we cover two new training programmes, both of which have received Government funding to address forestry skills shortages on the East Coast of New Zealand, the announcement of some significant funding from a charitable trust (The Wood Industry Development and Education Trust) for advancing education, research and development of the NZ forestry and wood products industries and in NSW, from Monday of next week, applications are open for the first round of the AU$34 million Forest Industries Innovation Fund. Details and links can be found in this week’s story. Finally, in line with the raft of technologies also on display later in the year as part of the eagerly awaited annual ForestTECH series ( www.foresttech.events, we’ve included a story this week on a recent report published by McKinsey & Company (covered recently also by FWPA). The report details 15 precision forestry technologies or practices that the authors believe show the greatest promise to transform forestry operations and improve forest management. It also provides pointers on how a company can best set themselves up to ensure that they’re well aligned at the start of any precision forestry digital transformation. Note: If you are registering yourself or some of your staff for ForestTECH 2019, you have just one more week to access those discounted early-bird registrations. That’s it for this week. Enjoy this week’s read. The yuan has depreciated 7.5 percent since mid-June, recently trading at 6.8763 per US dollar. Still, Brick said that despite the fall, market sentiment has stayed "quite positive" as factors such as port-level inventories, offtake rates and shipping rates otherwise point towards healthy fundamentals for New Zealand log trading in China. "Consensus among the majority of traders is that we’ve settled at the bottom of the market for at least the time being," he said. Chinese demand for New Zealand logs has been strong over recent years after Asia's largest economy clamped down on the harvesting of its own forests and reduced tariffs on imported logs to meet demand in its local market. However, trade tensions between the US and China have dented the value of the Chinese currency and traders fear rising tariffs will hurt economic growth and dampen demand. Brick noted that neither India nor South Korea, New Zealand's other major log markets, have provided any significant relief for exporters either. However, he noted the weaker New Zealand exchange rate against the US dollar had offered some protection for local export traders against the depreciation within China. The Wood Industry Development and Education Trust (WIDE Trust) is a charitable trust formed in 2017 to benefit the advancement of education, research and development in the forestry or wood industry sectors in New Zealand. Since its establishment the WIDE Trust has been consulting with industry and educational providers as to the type of initiatives that could be supported and would deliver beneficial outcomes for the sector. An on-line application process has also been developed over this period and is now available for use. New Zealand students, companies and institutions pursuing education or development initiatives in the forestry or wood industry sectors are invited to apply for a grant from the Trust. The Trust anticipates providing support totalling NZ$600,000 annually on an on-going basis. Funding for tertiary, post-graduate or vocational studies along with research, training or development is available. Further information regarding eligibility for grants is provided on the Trust’s website, www.widetrust.org.nz. Future Foresters have released the first "bio" video of their social media video series. This first video showcases Regional Forester Alfred Duval and his passion for making a sustainable difference in the New Zealand landscape. It only took one week for this video to reach over 35,000 people highlighting the impact social media can have in this connected age! The NSW Government will fund new innovative forestry projects aimed at improving profitability, opening up new local and international markets, and preparing for future opportunities. Minister for Lands and Forestry Paul Toole said applications would soon open for the first round of the AU$34 million Forest Industries Innovation Fund. 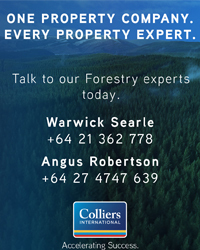 “As part of the 2018-19 Budget, I announced an AU$71.8 million forestry package across four years, aimed at supporting the industry and keeping jobs in our regions,” Mr Toole said. “The Innovation Fund will provide loans of up to AU$3 million for a range of projects such as timber mill infrastructure upgrades, development of new products, or initiatives that open new markets. Applications will be open for six weeks from 1 October, with successful projects able to access concessional loans of 2.5 per cent for up to 20 years. The Forest Industries Innovation Fund supports the objectives of the NSW Forestry Industry Roadmap and will be administered by the Rural Assistance Authority. Eligibility guidelines, application form and other information will be available on the RAA website ( www.raa.nsw.gov.au) from 1 October. This report by Harsh Choudhry and Glen O’Kelly for McKinsey & Company looks at which advanced technologies for forest management are most promising, and how forestry companies can start their digital transformation. The authors argue that while digital technology is revolutionising industries around the globe - from manufacturing to healthcare to agriculture - forestry has lagged behind. However, this is finally starting to change. Choudry and O’Kelly report some forestry pioneers are starting to achieve productivity increases and returns on investment similar to other industries, and the size of these gains is comparable to the shift from animal-powered to mechanised processes. Unfortunately, according to the authors, digital solutions in forestry management science currently confront a system that still operates largely on the basis of fundamentals developed by Hans Carl von Carlowitz more than 300 years ago. However, inspired by advances in agriculture, some forestry operators have begun pioneering the use of advanced technologies to improve forest management results. Within the industry, this approach is widely called ‘precision forestry’. Precision forestry is enabled by a wide range of emerging technologies, such as drones or unmanned aerial vehicles (UAVs), laser scanning (lidar), and soil sensors. But precision forestry is not simply the adoption of digital technologies. For forest managers, it involves a paradigm shift from a highly manual and analog system with broad-brush management prescriptions, to a system with digital data capture and planning, granular management prescriptions and tight operational control. -	Tighter control of operations with improved data collection. -	Increased selectivity of prescriptions to match site and needs, for instance, soil nutrients and the genetic material of seedlings planted. -	Automation of operations, from nurseries to wood logistics. -	Optimised decision-making with advanced analytics. The report details 15 precision forestry technologies or practices the authors believe show the greatest promise to transform operations and improve forest management results. 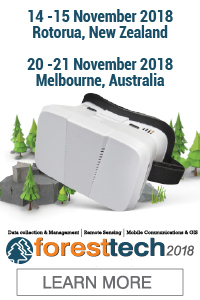 Choudry and O’Kelly found that many leading forestry companies globally are adopting precision forestry technologies and there has been a noticeable proliferation of technology suppliers seeking to develop this space. While many precision forestry technologies remain in trial phases, some are already established and increasingly gaining traction. The availability of these technologies, even of those being trialled, signals a major shift in the industry. -	Discover - understand where you are and where you want to go, create a road map. -	Design - design and deliver first at small scale on limited projects and/or single site. -	Deliver - deliver at a larger scale with a broader project portfolio, potentially at all sites. -	De-risk - implement structure to reduce operational and financial risk over the long term. -	Start now, don’t wait for the technology to fully mature. For instance, use manual reading of UAV images while algorithms are being built. This helps narrow down the exact problems to solve and the requirements for doing so. -	Begin with your business needs. Many precision forestry technologies are used for data collection, which is only the starting point and should be followed by analytics, and only then decision-making. -	Combine technologies to address specific problems. The new technologies are most powerful when used in combination. For instance, for forest re-establishment, use UAVs to collect stocking data, analysis to identify low stocking hot spots, and decision-making to prioritise areas to replant. -	Make the best of use of existing data. This, if cleaned and integrated into one unified data set, may be enough in itself to run predictive analytics and drive improved decision-making. -	Consider the full set of enablers. Don’t look at just the new technologies - consider the IT backbone, business processes, capabilities, and organisational setup as well. 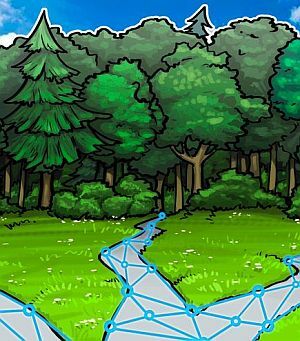 A county in China’s northern Sichuan province has signed a strategic cooperation contract to establish a new blockchain company in an effort to develop the forestry industry, local news outlet China Net has reported. The Beichuan Qiang Autonomous County of Sichuan Province and Beijing Sinfotek Group have jointly established a new company, Hangzhou Yi Shu Blockchain Technology Co., Ltd for “forestry economic development and industrial poverty alleviation.” The parties signed the cooperation contract in Hangzhou, Zhejiang Province, on 19 August, China Net reports. The newly established company is reportedly one of the 19 blockchain companies to have passed the first batch of 700 project declarations in the Hangzhou Blockchain Industrial Park. The company aims to apply blockchain technology to farming and agricultural industries. South Australia’s forestry industry is invited to get involved in a new survey aimed at unlocking productivity and efficiency benefits by identifying road transport improvements. The Improving Road Transport for Forestry Project aims to uncover the obstacles to road freight productivity along the forestry supply chain, including the movement of machinery, in all production areas of the state. Minister for Primary Industries and Regional Development Tim Whetstone said he wanted to hear from industry to understand what could be done to help improve productivity. 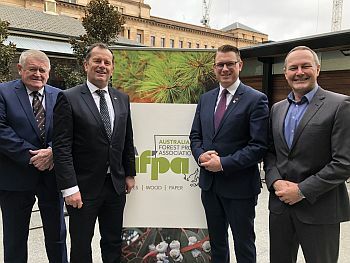 “The forestry industry is an important sector for South Australia, with the sale of goods and services worth AU$2.3 billion each year for the state,” said Minster Whetstone. “We are calling on the forest industry to take part in the survey. We want to know what the challenges are and what the sector believes are the possible areas for improvements, such as permit changes or junction upgrades. This project is about generating new ideas and possible solutions to promote the forestry industry’s growth, productivity and competitiveness”. Minister for Transport, Infrastructure and Local Government Stephan Knoll said the project seeks to make road transport safer. “The project is about making road transport simpler, safer and identify productivity gains within the forestry industry,” said Minister Knoll. “Strategic road upgrades will improve conditions for heavy vehicles and allow them to navigate via more efficient routes across the state.” The project is a partnership between PIRSA, Primary Producers SA, and the Department of Transport, Planning and Infrastructure. You can access the survey, which is open until 2 November 2018, at www.pir.sa.gov.au/forestrytransport. Photo: Primary Producers SA chair, Rob Kerin, SA Minister for Primary Industries, Tim Whetstone, Minister for Transport, Stephan Knoll, and AFPA Branch Manager, Leon Rademeyer. A large-scale land purchase by an American forestry company west of Taupō will see 1148ha of farmland converted into a redwood forest. The NZ$7 million purchase North of Taumarunui, near Matiere, by The New Zealand Redwood Company has been approved by the Overseas Investment Office. 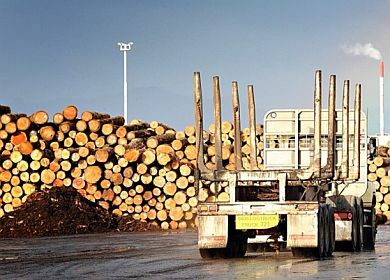 The venture was likely to create six full-time jobs and increase New Zealand's export returns because the bulk of the timber will be exported to the United States in a processed form, the OIO consent said. Taupō-based NZRC was formed in 2001 by the Soper Wheeler Co of California, a 100-year-old forestry firm. NZRC specialises in redwoods, and has so far planted 3000ha of redwoods and intends to keep establishing forests in New Zealand. NZRC chief executive Simon Rapley said the company plans to plant redwoods on 650ha, retain the 270ha of native forest and leave the balance in pasture on the sheep-beef farm. 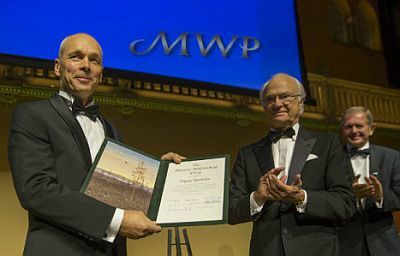 "We will plant over 400,000 trees on the property," Rapley said in an emailed statement. The trees will be harvested between 35 and 40 years of age and will almost certainly be processed locally. "The processed wood will most likely end up in California, which is the only existing market until other markets can be developed." The New Zealand Government is investing NZ$249m in ambitious research projects that will improve the lives of New Zealanders and address some of the challenges we face as a country, says Research, Science and Innovation Minister Megan Woods. “The Endeavour Fund invests in excellent research that makes a vital contribution to New Zealand’s future economic performance, the sustainability and integrity of our environment, and the strength of our society. Proposals are assessed and approved for funding by the Science Board, an independent board responsible for making decisions to allocate funding appropriated for research, science, technology and related activities,” says Woods. The full list of successful projects is available here. 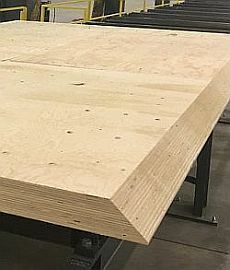 US based Freres Lumber Company says it has achieved Mass Plywood Panels (MPP) certification under the APA - The Engineered Wood Association's ANSI/APA PRG 320 standard. The product is the first Mass Timber Panel constructed entirely out of Structural Composite Lumber (SCL) worldwide. The company says this makes it much more cost effective than CLT (cross-laminated timber) options. Mass Timber Panels will allow rapid construction of multi-story structures with pre-fabricated structural wood panels, the release says. The predictable char rate of mass timber panels allows buildings to be built taller with wood, allowing multi-story structures out of wood up to 18 stories anticipated in the next iteration of the International Building Code (IBC). The company says it is continuing to refine the design values of the product line, and will roll out additional MPP product configurations. Two friends, one Kiwi girl and one Aussie girl, purchase a ranch. Unfortunately, after just a few years, they are in financial trouble. In order to keep the bank from repossessing the ranch they need to purchase a bull so that they can breed their own stock. Upon leaving to check out a good prospect, the Aussie tells her friend, "Now, when I get there, if I decide to buy the bull, I'll contact you to drive out after me and haul it home." The Aussie arrives at the man's ranch, inspects the bull, and decides she wants to buy it. After paying him the $599 asking price, she drives to the nearest town to send the Kiwi a telegram to tell her the news. She walks into the telegraph office, and says, "I want to send a telegram to my friend telling her that I've bought a bull for our ranch. I need her to hitch the trailer to our pickup truck and drive out here so we can haul it home." The telegraph operator explains that he'll be glad to help her, and then adds, "It's just 99 cents a word." Well, after paying for the bull, the Aussie has only $1 left, meaning she'll only be able to send the Kiwi a one-word message. After thinking for a few minutes, she nods, and says, "I want you to send her the word...'comfortable'." The Aussie explains, "My friend is a Kiwi. The word's big. She'll read it slowly...out loud... ("com-for-da-bul")."